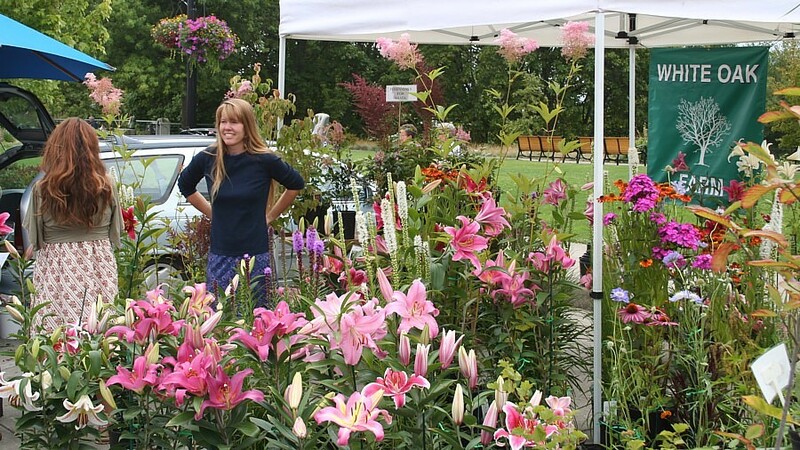 ocean-influenced summer climate in the western Oregon valleys are a gardener's paradise. 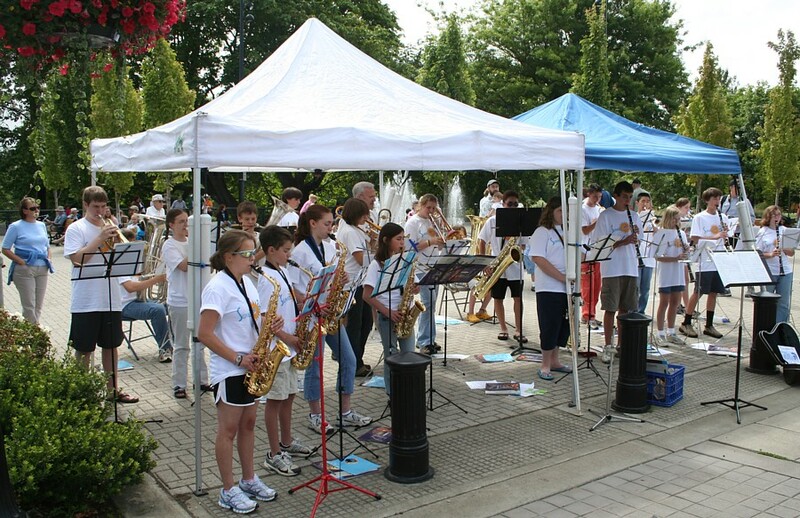 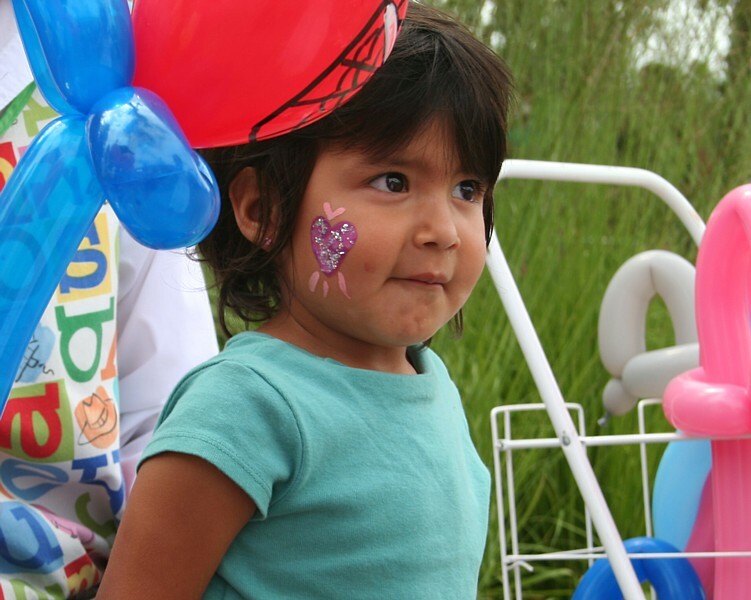 Children enjoy face painting, balloons, entertainers, and playing in the park and fountain. 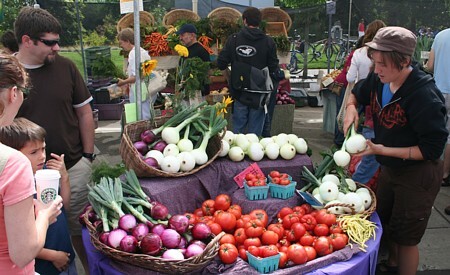 Many local organic farmers offer premium products irect from the farm. 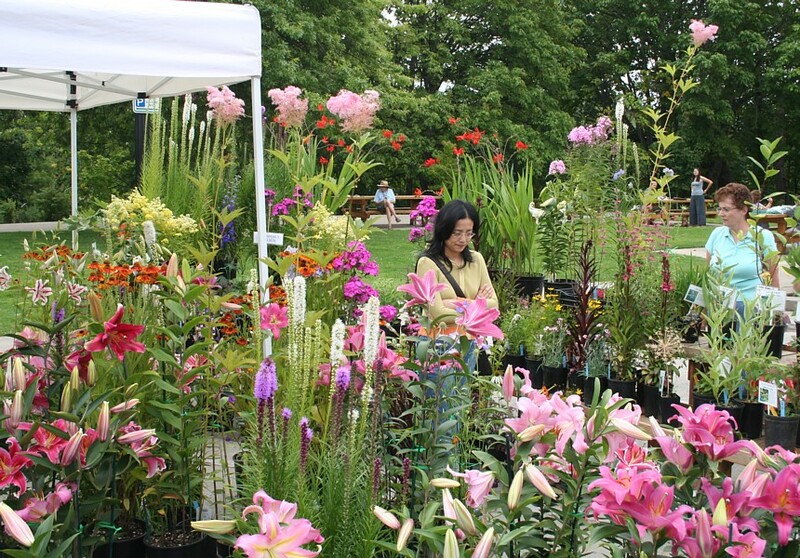 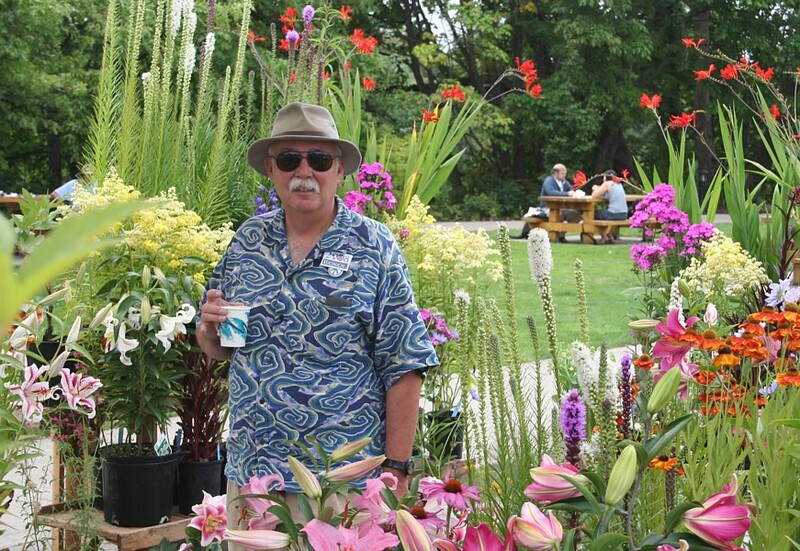 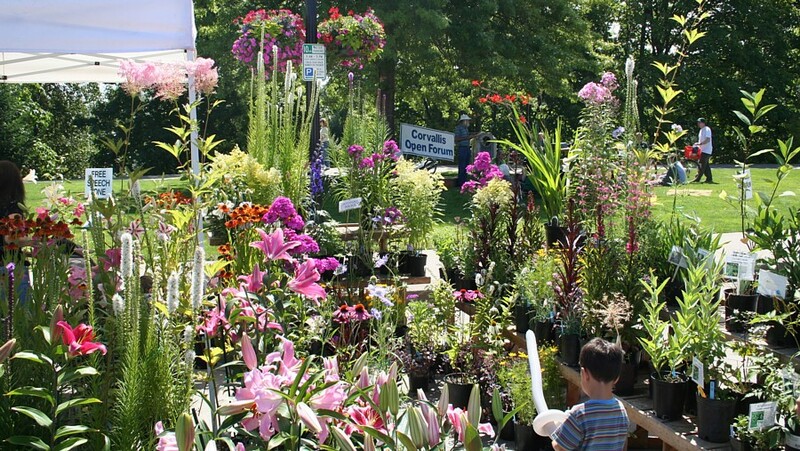 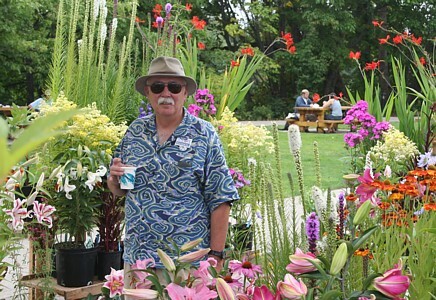 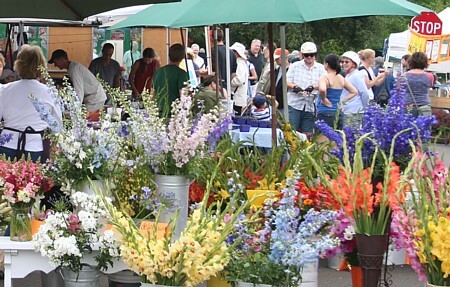 Area horticulturists offer potted flower stock, and enliven the market with colors and scents. 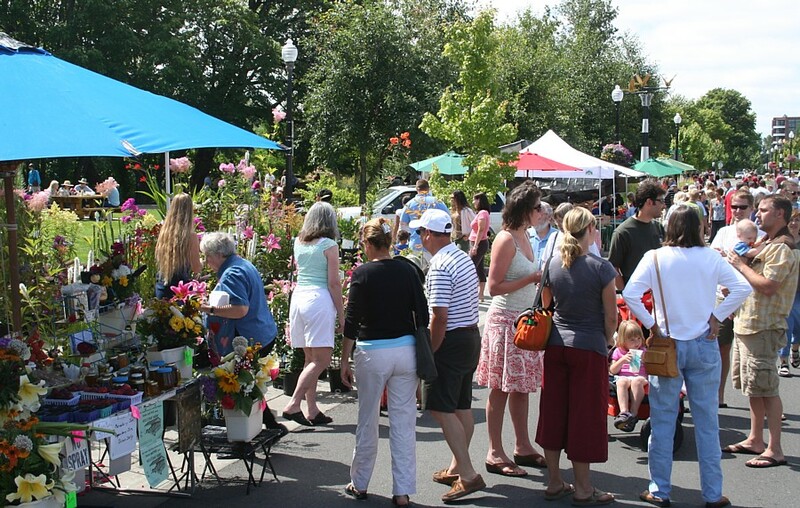 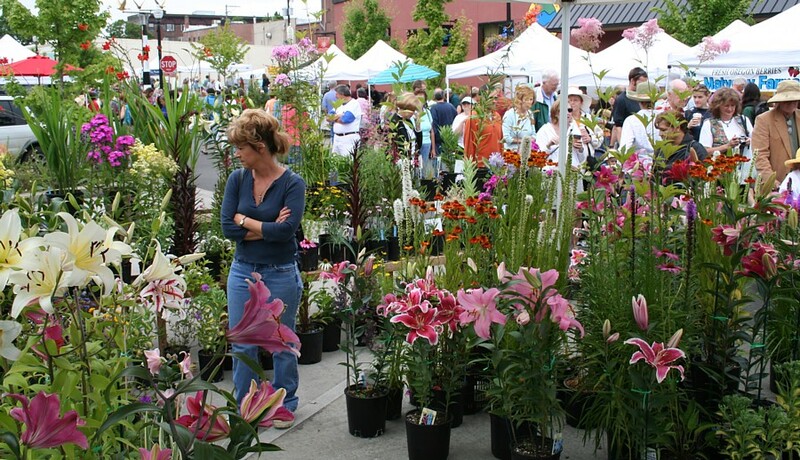 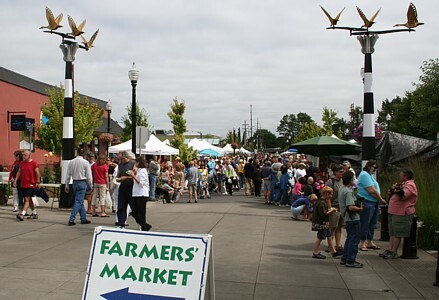 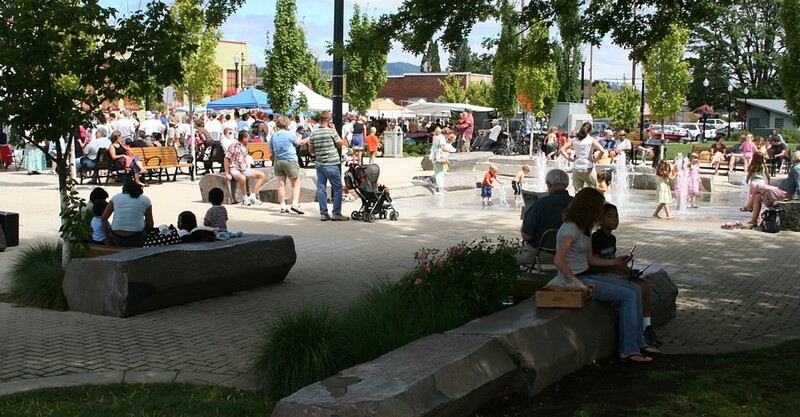 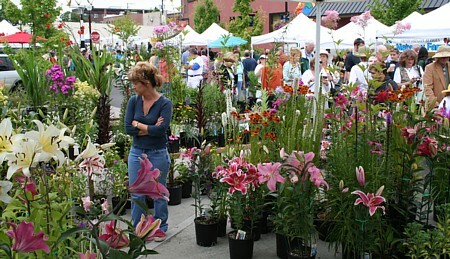 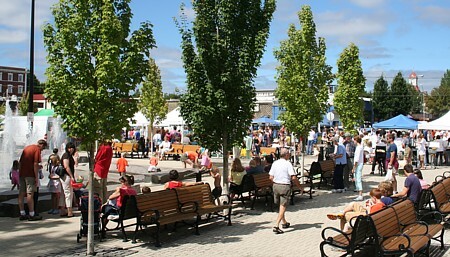 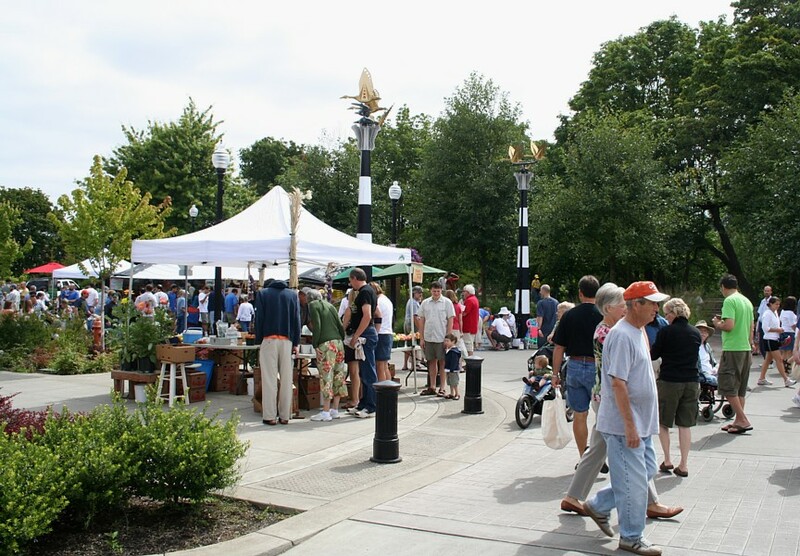 The market is located on the waterfront park area in Old Town Corvallis. 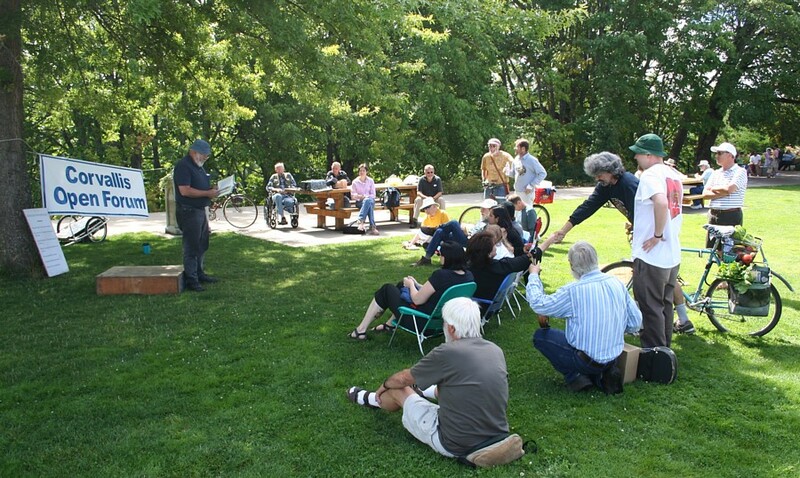 Entertainers provide atmosphere and bits of wisdom. The market is a great place to greet friends, enjoy coffee, and fill the kitchen. 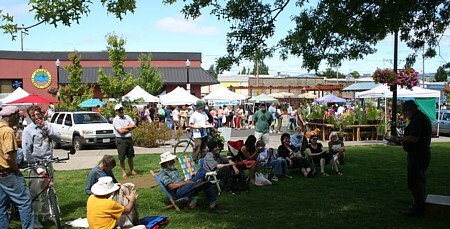 The popularity of the fresh produce draws a good crowd. 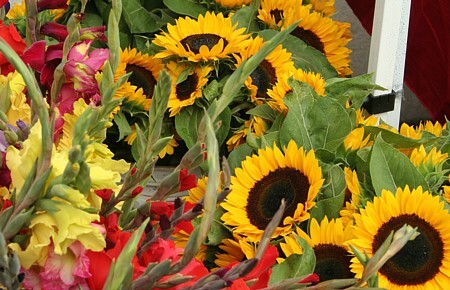 Shop early to get the picks of the week. 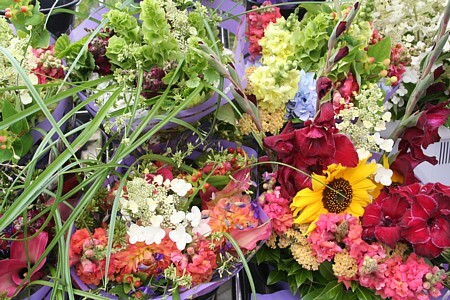 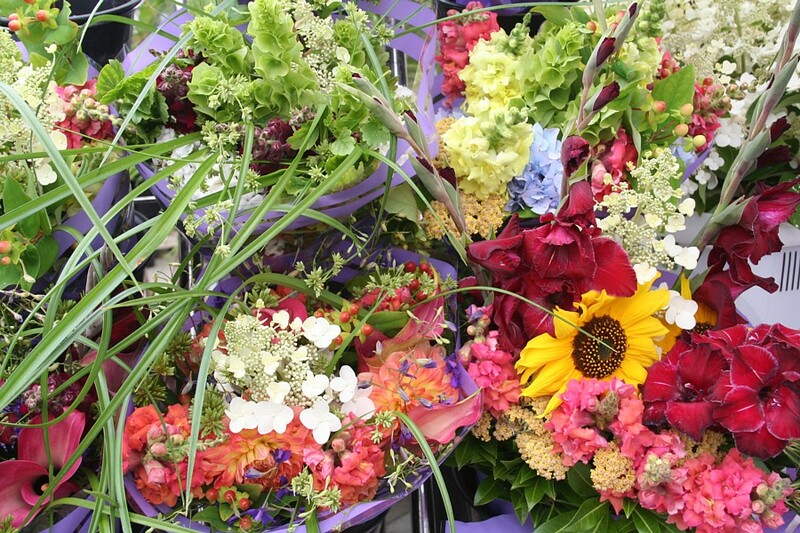 The abundant supply of cut flowers decorates many local homes and businesses. The Farmer's Market is seemingly as much a fair and social as it is a market. 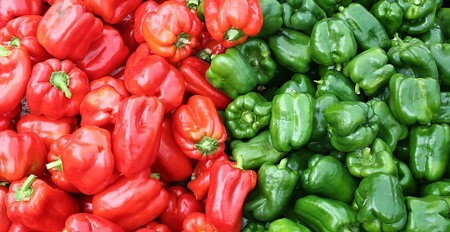 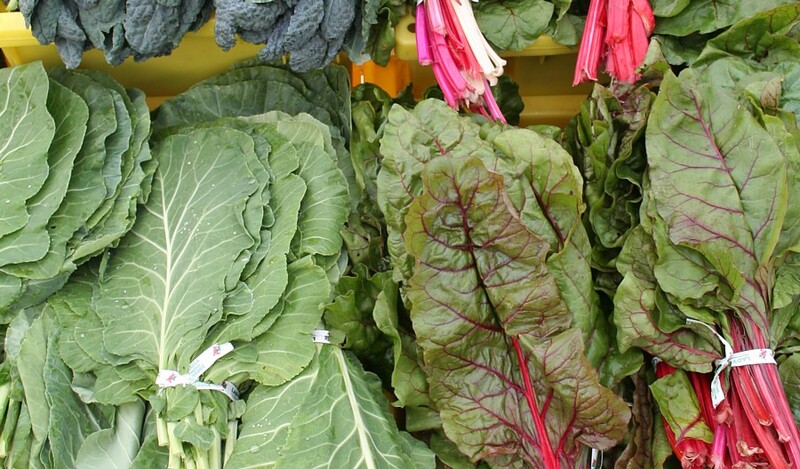 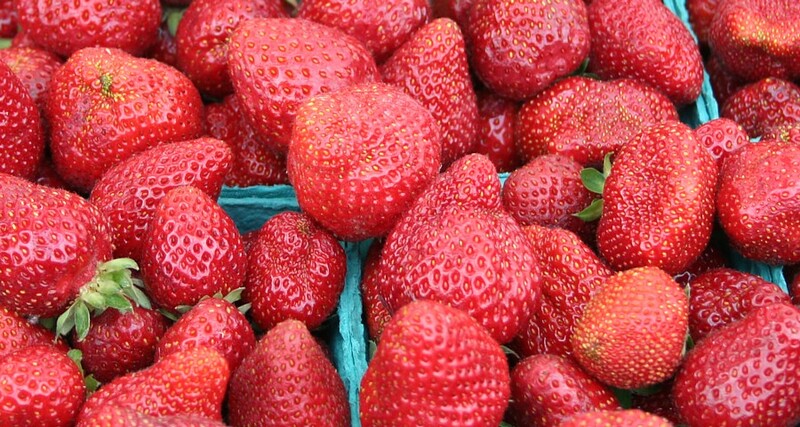 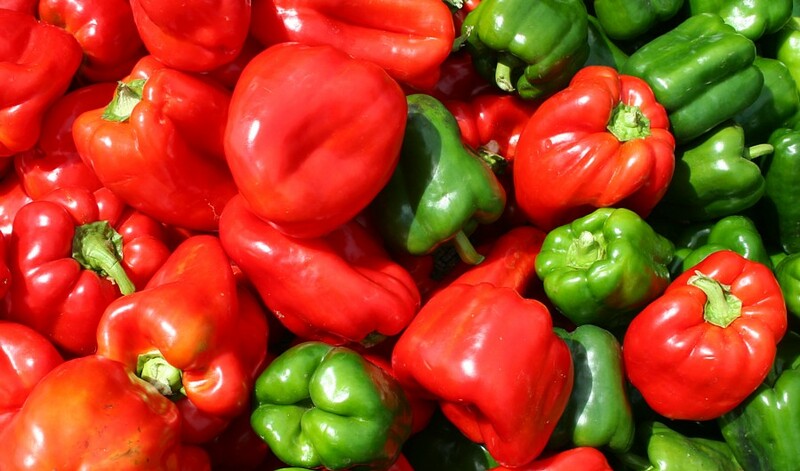 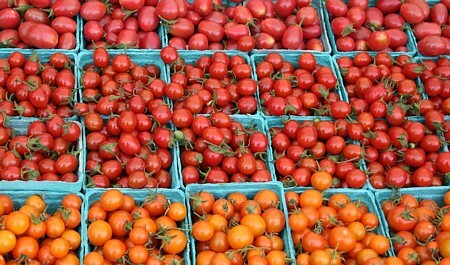 Select from the best local, fresh produce offered by numerous vendors. Rich local farmland produces the magnificent large gladiolas and other vibrant flowers. 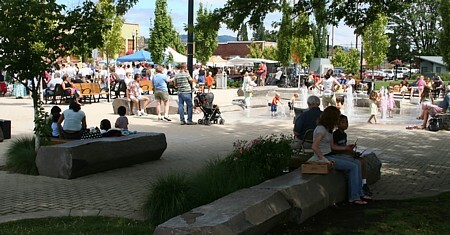 The park setting parallel to the market offers art, rest, shade, and cool fountains. 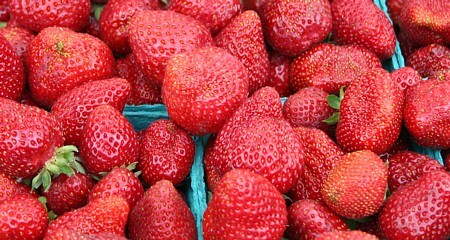 Fresh, farm ripened, berries and fruit provide immediate gratification. 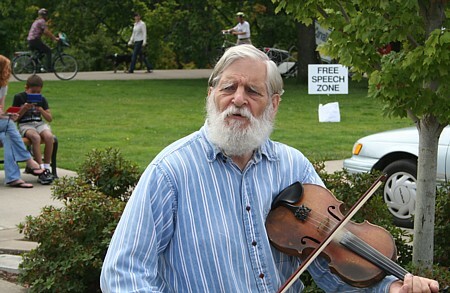 Local activists organized a free speech zone where anyone can sign-in and speak. 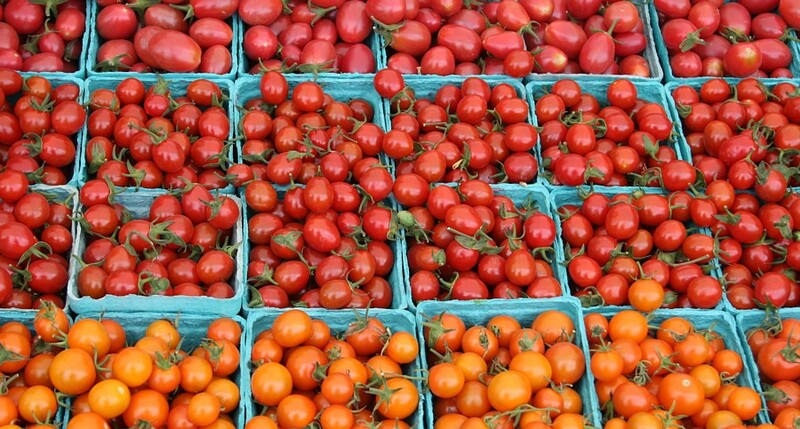 Onions, tomatoes, beans, leek, you name it, you can expect a variety of choices. The Summer Band performers produced a concert after just four days of pratice. 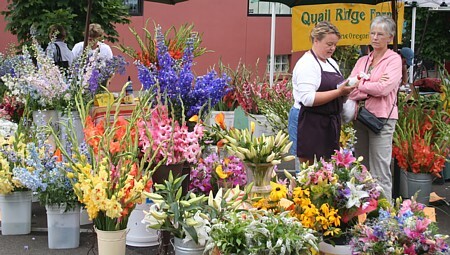 Wandering the vendor stalls delights all the senses. 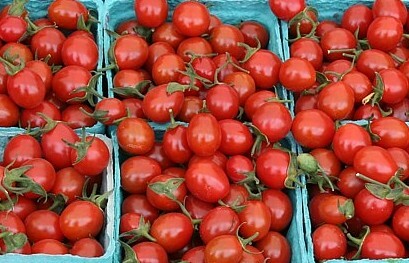 Photo Stock. 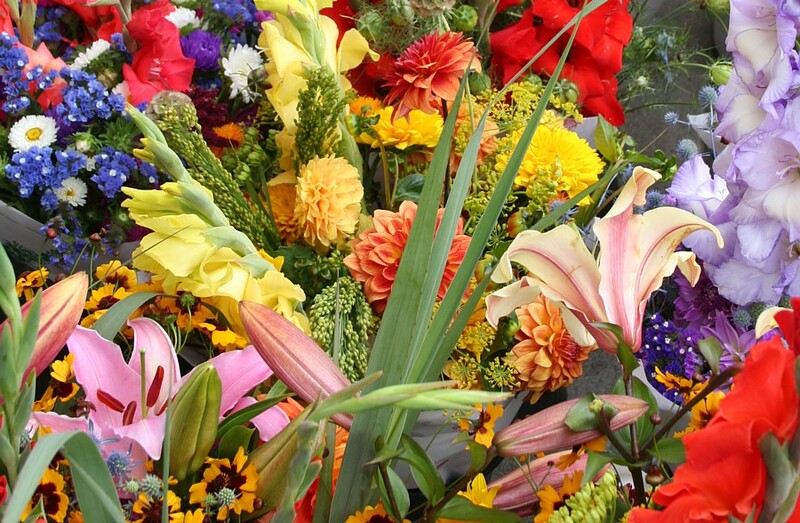 Inquiries welcomed. Contact. Archaeology, ruins, rock art, and landscape photo stock and graphic design.